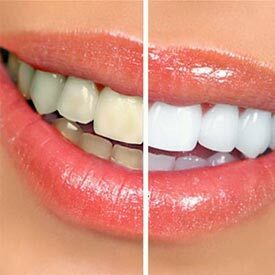 Shawnessy Smiles offers South Calgary Teeth Whitening services to help you achieve a smile that you are proud of. Professional Take-Home Whitening kits are a safe, fast, and effective way to professionally remove stains and discoloration from your teeth, while in the comfort of your home. Our take-home whitening treatment effectively whitens the enamel surface of the teeth, and Dr. Roman Koutsil will monitor your progress to ensure that any side-effects such as tooth sensitivity are managed quickly. Whitening may not be ideal for every patient, and at Shawnessy Smiles we offer many options to help you achieve the healthy smile that you wish for. Our comprehensive care may involve treatment options such as cosmetic bonding, porcelain veneers, and dental crowns. We know that your smile is important to you — call today to make your appointment for South Calgary Teeth Whitening at Shawnessy Smiles Clinic! Call us at (403) 254-1124 to learn more about our South Calgary Teeth Whitening services or request your appointment today!